The loudest cry across the technology industry these days appears to be for “innovation, innovation, innovation!” Start-ups are springing up everywhere, challenging the status quo. To reflect this, companies are busy turning their operating models upside-down in an attempt to compete, and are challenging both their cultures and mindsets. Is it possible then that future generations (‘Generation Z’ and beyond) will look back at this century as the one where real technology innovation began? 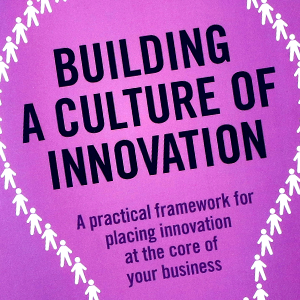 Beyond the obvious need for us to innovate, we need to remember that it is ‘people’ who do the innovating, and people are influenced by many factors, not least their environment. The financial services industry had an established working model during the last decades of the Twentieth Century. As major institutions gathered processes around a ‘shared services’ type model, teams have been packed into large buildings with rows and rows of beige, non-descript desks. You were allocated a desk, you made it yours, got established and didn’t have to move. Ever. If you kept lots of things on your desk, nobody would make you move – it was too hard. Why bother?! Everyone understood the process you were required to go through in order to move your team around, even if it was just across the way. The planning was amazing; ‘Person X’ needs to move to the desk of ‘Person Y’, but Person Y can’t sit at Person X’s desk so ‘Person Z’ will need to move! Then you would get the expected “well, if we’re moving people around, can I now rearrange my team?” It is at this point that the, now substantial, cost of the move hits a senior executive’s desk and the real problems begin. Remember when change was synonymous with those huge blue plastic crates? That and the floor emptying at 4pm on a Friday so that corporate services could begin the move. It wasn’t exactly nimble, was it?! Remember when you had your own PC tower? A pedestal? Drawers full of all those important papers that you just had to keep? Then there were all the training binders you needed, just in case (especially those project ones that started with Prince 2, then it was PMI, and now it’s Agile – although now all the Agile material is online because there are no more pedestals!). ‘Clear desk policy’ was an oxymoron! Fidelity International has been on an innovation journey for several years now. An important part of this journey has been a fundamental rethink of the environment we work in. If you want to change behaviour, you must change the environment. A few years ago, we began a step change in our thinking – driving an ongoing innovation agenda that we are still on today. Terms such as ‘loosely coupled, tightly aligned’ and ‘self-forming and agile teams’ were being discussed. It was at this point that we stopped to look around at our beige desks, with papers piled high, and realised that altering the working environment was going to be as important for us as changing our culture and methodology. A Harvard Business Review outlined how incumbents never truly disrupt themselves from the inside. Changing our environment was going to be the same so it was off to companies like Google, Skype and the BBC, to see how other people were doing it. What stood out was the importance of colour. Bright, vibrant colours and plenty of them, all crowded into the environment together, creating a completely different office space, one that helped to drive creative thinking and a more collaborative approach. The brief was to create a bright, open, contemporary and collaborative space, offering flexible seating where teams could congregate for short bursts of work and then dissipate as necessary. The space had to afford staff different working choices from traditional project areas, with plenty of collaboration tools and technology to support discussions in open spaces that allowed for stand-up sessions or impromptu meetings. This was also about taking a different approach; increasing staff mobility, reducing the clutter that builds up around stagnant spaces and, most importantly, engendering a culture of being nimble, quick and adaptable. Meetings were always a problem in the old spaces. Standing around and talking by desks was never popular but getting a meeting room without a week’s notice was nigh on impossible. Stand-ups were hard; with desks packed closely together and colleagues giving you hard looks because of your noisy proximity, where were you expected to loiter?! Once the office space had changed, it was noticeable that teams did not have to leave (or want to leave) these spaces to hold a meeting. Now, if you were working on a project with a group of people, you didn’t have to go far, as everyone on the project was now sat together. It was as simple as standing up, grabbing a pen and writing on a nearby glass board. Note: As a small aside, after the first room was complete, everyone in the team was eager to get back in. We were all looking for a reason to use the glass boards. The problem was – that the glass was blue and orange – and all the pens we had didn’t show up well on those colours (orange was the worst). It was impossible to actually see what you had written! There were 60 people due to come back into the space! A mad scramble ensued as we tried to sort it out. This involved ordering nearly every pen and colour in the book – then experimenting to see what would work best. It’s often the small things you need to think about! There were some interesting cultural elements to this change. Some colleagues were clearly not happy to be giving up ‘their’ desks – and tried sitting in their old spots to prove the point. However, most were on board and were very happy with the changes, while those who could accurately be described as ‘millennials’ were just glad not to be working in a stuffy old office anymore. The biggest change was from those who were ambivalent; the majority embraced the change and made good use of the new collaboration spaces and tools. This demonstrated that you could ‘nudge’ change in the right direction with a simple alteration to the environment. Agile methodology became that much easier to move to, while new working practices became that much easier to implement. This new working area was different; it had plenty of space. So, how did we manage that? Well, we began by removing 20% of the existing desks. An occupancy study had already found that, at any one time, 15% of our staff were out of the office (due to annual leave, training, being on-site at other offices, etc. ), while the remaining project space had plenty of room to accommodate more people. It just required everyone to think differently (plus, the constant supply of fruit was a real positive). Not everything worked of course. The space was quite noisy and, with all the glass boards up, the noise tended to bounce around. The V2.0 iteration resolved this, as the new offices offered the ability to structurally build the space in a way that reduced this noise. Not everyone moves around. Many people sit in the same space every day. However, the important thing is that we can create the space when we need it. This pilot facilitated a real change within the company. The new space became a draw for everyone on site and visitors to the office often only wanted to sit there. The open collaboration area became so popular that we had to start limiting who could use it (in order that the teams in the locality could maintain access to it). This, in itself, demonstrated how badly this change was required. People were both pleased and proud to be working in this domain (for a while, occupancy levels became a problem as people were not venturing out to other offices). Areas like these have now become the de facto, corporate services standard and are being rolled out to all Fidelity International offices. Although this change created some minor problems, it also created numerous opportunities. One such opportunity, envisaged by an individual in the team, was around deliveries. In the old world, you always knew where someone was sitting. With hot-desking however, support staff had no idea where anyone could be found. The rather ingenious solution to this was to develop a system indicating where each person could be located. This new system, ‘WAYS’ (Where Are You Sitting), pulled together an individual’s details when they logged-on at a desk – creating a Visio diagram of the desk layouts. This was then displayed at the entrance to the area. You could watch the screen lighting up with names in the morning as people logged-on and support staff then knew where each person was (even if you moved desks during the day). This was a great demonstration of how individuals had begun to adapt their behaviour to make the new space work. As I finish writing this article (on one of my recent trips to our new Dublin office, which makes full use of these new workplace designs), I am reminded that, during the many interviews I have held, the candidates have all remarked on the modernity of our offices. It would seem that the new generation of staff, all with great expectations, hopes and dreams, expect great things from our 21st Century office space. It’s time to throw out the old beige furniture that’s plagued financial services throughout the late 20th Century, and embrace a more flexible, collaborative and dynamic environment, answering the call for innovation. David leads global technology teams in the provision of technical change delivery. The best practices we compiled touches on all of these aspects—offering resources, a safe space—and it's interesting to note that all these recent companies (like Microsoft) were able to achieve their breakthrough solutions with the contributions of others. In the spirit of inno!